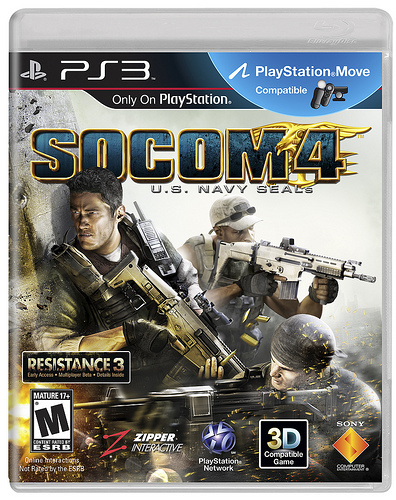 Good news Resistance fans, Sony and Zipper Interactive has just announced that if you buy the upcoming PlayStation 3 exclusive shooter SOCOM 4 you will be rewarded with a voucher which will allow you to download the Resistance 3 multiplayer beta when it goes live sometime later this year. One thing to note is that only special marked copies of SOCOM 4 will contain the illusive voucher. There was also good news for those of you who pre-ordered the SOCOM 4 Full Deployment Edition. Why?, because Sony and Zipper also revealed that every one of those limited edition bundles will come packed with a code to download the Resistance 3 multiplayer beta.